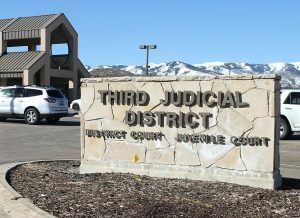 The Park City Board of Education is moving closer to deciding how — and when — to finance large-scale construction projects that have been discussed in some form for more than two years. 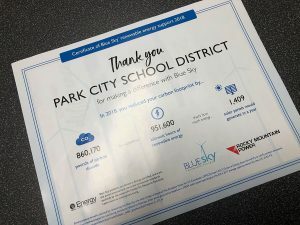 The school board met in a public meeting Monday and discussed a range of options to pay for the projects, which could cost more than $100 million combined and will likely include an expansion of Park City High School — or possibly building a second high school — and the construction of an upper elementary school to house fifth- and sixth-graders. One option, which has been seen as the most likely avenue in recent months, would involve putting a bond measure on the ballot this fall to pay for the entirety of the project. Alternatively, the district could delay the bond until 2018, giving school officials more time to present a fleshed-out plan to residents before asking them to foot the bill. A $56 million bond failed in 2015 largely because voters thought the district rushed the measure on the ballot without doing its due diligence. Another scenario would include funding most of the cost through a bond in November, but also imposing tax increases that would pay for the rest. For instance, if the school board increased the capital local levy to its maximum rate, it could generate more than $34 million annually, at a cost of $944 to residents with homes valued at $650,000. Another nearly $21 million could come from maxing out two additional tax levies. However, Todd Hauber, the district’s business administrator, cautioned the school board against maxing out those levies. Instead, the board could increase them just enough to raise the money it needs to complete chunks of the projects in a given year. The construction is expected to take several years to complete, with the earliest estimates calling for work to be finished in December 2020. Those tax increases would be subject to Truth in Taxation hearings. “This is an option, but my recommendation is that you would generate (the revenue based on) your cash flow needs,” Hauber said. 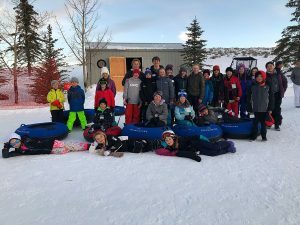 Along those lines, multiple board members expressed reservations about increasing taxes by those margins because of the impact it would have on many families in the district. “$1,000 for a lot of people is not affordable,” said board member Julie Eihausen. Superintendent Ember Conley said that, from an administration and education standpoint, all three financing options would be viable, though she appeared to favor waiting to go to bond until 2018 in order to develop a more firm plan to present voters. Eihausen, however, was concerned that delaying the beginning of the projects would be costly for taxpayers because of the inflation of construction costs, which are rising about 5 percent annually. Both Eihausen and J.J. Ehlers said their constituents are expecting a bond this fall and are willing to pay for an expansion of PCHS and a new school for grades five and six. But uncertainty about what elements should even be included in the projects muddied the conversation. 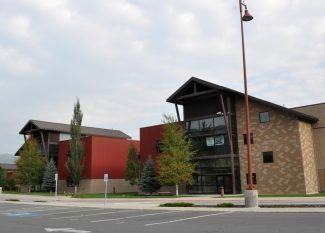 Board member Andrew Caplan has been adamant that the district should look into building a second high school instead of renovating Park City High School because of future population growth that may make even an expanded PCHS crowded within 10 or 15 years. According to estimates, building a new high school could cost $140 million, but that figure assumes acquiring suitable land for the school would cost $40 million. Caplan said the district should explore whether more affordable land is available. If it is, Caplan said, there should be a community discussion about expanding PCHS versus building a new high school because the costs may not be that disparate. Expanding PCHS is estimated to cost about $64 million, according to two designs presented to the board Monday, but Caplan said the work may well go over budget because of the nature of renovations. School officials have been in the process of determining what land within the district is available to purchase and are expected to present that information to the school board at its next meeting Tuesday. Eihausen, who supports going to bond this fall, said that even if cheaper land is available, residents would be unlikely to foot the cost of a new high school and a new school for fifth and sixth grades, which is expected to cost more than $30 million. “I personally can’t see us going out for a bond for $140 or $150 million dollars,” she said. 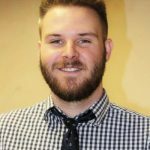 Regardless of the eventual scope of the projects, though, the school board is on a tight timeline to determine how to finance them. It must decide within about a month whether to go to bond this fall because community outreach would have to begin as soon as possible. The board is scheduled to meet again Tuesday, March 7, and may vote then to decide the issue.